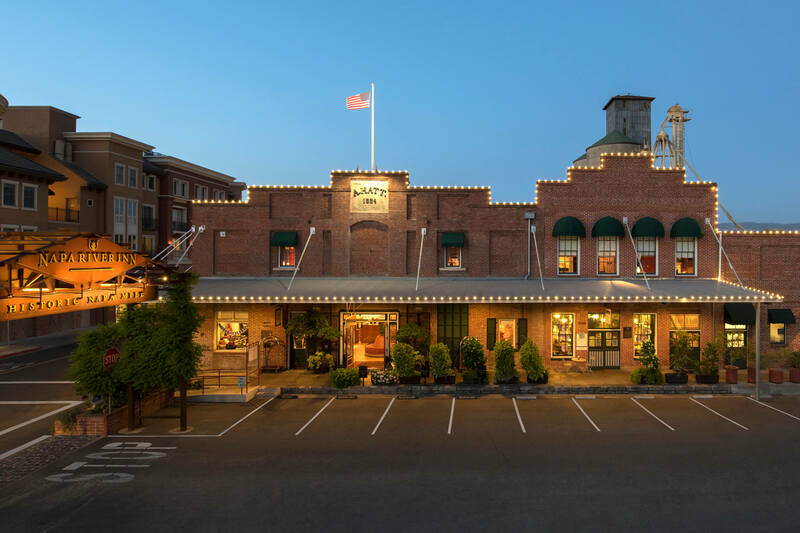 After delivering a speech on the importance of photography for historic hotels at the Historic Hotels of America Annual Conference, Michelle was commissioned by a member of this hotel association, the Napa River Inn in California, to update their imagery. 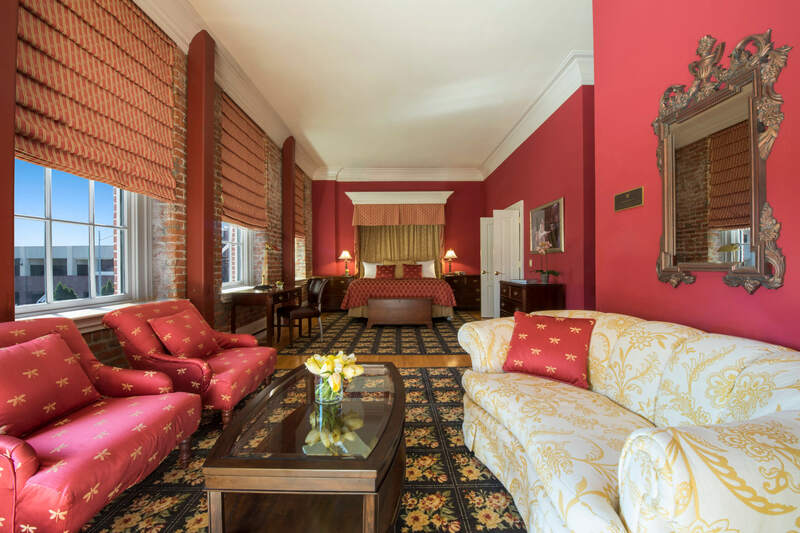 A historic hotel is a jewel in every way – when you walk into the lobby of one of these properties, the atmosphere is special, with stories of past guests and events secreted within its fabric. 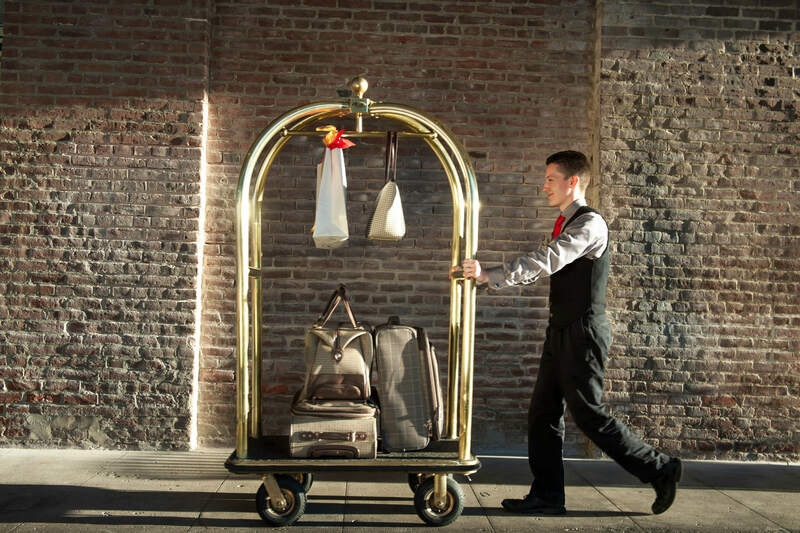 These hotels have something that money can´t buy; that key ingredient – history. Shipping merchant Captain Albert Hatt, of German origin, bought the land in 1884 to build storage and processing warehouses. In 1897 he constructed a wharf for his steamship business, transporting farm produce along the bustling Napa river. When the shipping transportation business, which was mainly dependent on farming, went into decline, and the now-famous wine industry began to flourish, Hatt used the former flour and grain mill as a warehouse for wines and products of the local vineyards. 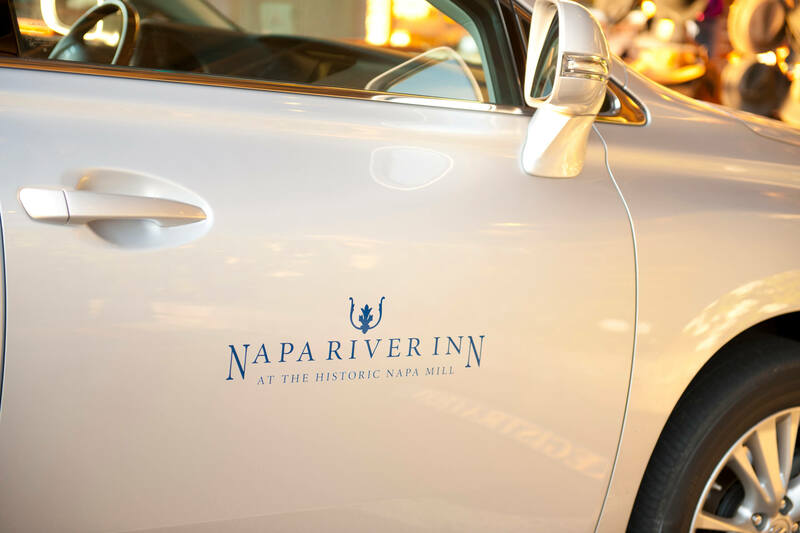 In the 1990s the Napa River Innbecame an ideal place to stay, with its superb riverfront location and the flourishing local wine industry. The Napa River Inn also claims to have a ghost room! On the shot list we had room 205 in the old wing above Sweetie Pies Bakery, apparently the most haunted part of the hotel. The son of the property’soriginal owner, Albert Hatt Jr, a widowed father of five children, who was being sued over the ownership of a steamboat and was in poor health, hung himself in the bakery in 1912; his wife had previously died in the building, and both have allegedly been heard and spotted. We had no such dramatic incidents, but one strange thing did happen. In photography, obvious as it may sound, you only have one chance to get a night shot, and that is at dusk. We set up the camera on a tripod so that it was perfectly positionedto shoot the room using an architectural lens. Then we locked the room door, and crossed over to the other side of the river to capture the sunset on another camera, continuing after sunset. It wasn’t until we were back in the studio, working on the post-production of the image, that I noticed that the camera position had moved. As far as we knew,nobody had been in that room. This hotel is located in the heart of the Californian wine industry, so when a stylist was needed for the job we hired Elena Craig, who has years of experience working on shoots in the Napa Valley. We always feel very confident working with local stylists, as they seem to be able to get hold of almost everything, and also they know the area so well. Elena came with armfuls of flowers, grapes, cheeses, one of those knock-me-dead steam irons, and padding for the pillows – in hotel photography, if the bed isn’t perfect, the room is ruined, and she prepared the beds to perfection. No shoot in the Napa Valley is complete without three essential elements: wine, grapes and chocolates. Elena picked out pristine vine leaves and magazine-quality grapes. This hotel is well-known for the breakfast delivered to your room on a tray direct from Sweetie Pies Bakery, so Elena set a tray impeccablybearing delicious pastries. Many clients hesitate to spend that little extra on a stylist, but my own personal opinion is that the value added to any hotel photo shoot by a good stylist is priceless. 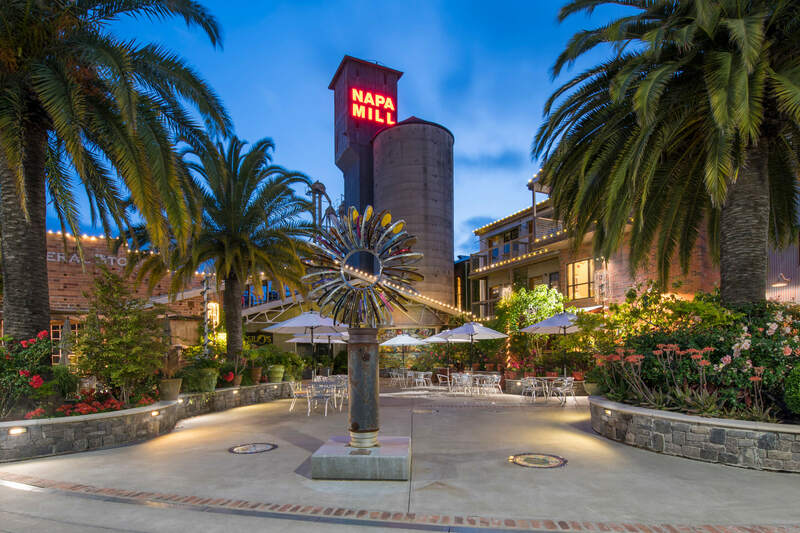 We were commissioned to photograph rooms in both the old and newer parts of the hotel, the north façade and the frontage from the far side of the Napa River and their signature sunset shot. The hospitality industry is nothing without people, so of course we included sun-drenched scenes of the doormen, the iconic lobby and tempting details, bathtubs with bubbles, dark chocolates and champagne – after all, hotel photography is about visual take-me-there seduction.